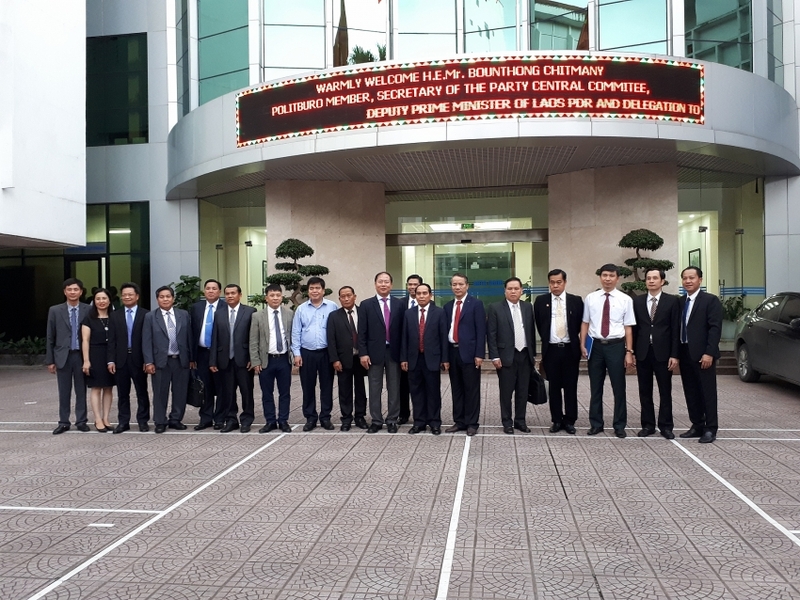 The discussions focused on the legal documents governing the management and operation of Vietnam Railways and its development strategies, operation structure, inspections, employment policies, private investment attraction, site clearance, and compensation. According to VNR chairman Vu Anh Minh, VNR’s operation and management is based on the Law on Railway, with decrees and circulars guiding operations, such as infrastructure management, transportation conditions, and others. Minh added that the facts proved that the assets directly involved in train operations should remain in state ownership, with VNR still the manager and operator, while the assets not directly involved in train operations should be handed over to VNR under the format of state capital contribution, thus enabling the giant to take business initiatives. Assets directly used for train operations include railways, bridges, tunnels, rails, depots, and others, while assets used for train operation include station squares, warehouses, inland container depots (ICD) and others. Regarding the Indian side's question about calling private investment, Minh elaborated: "We call for private investment in railway stations and ICDs, while the assets directly used for train operations are invested by the state." Regarding the question about site clearance and compensation for the development of the high-speed railway network and the possible expansion of safety corridors, the chairman said that site clearance is ruled by the Land Law. The compensation price varies by locality. Cities and provinces have their unit price frame approved by authorised agencies. The working visit is very useful for Laos, where a number of railway projects will be developed, including a container depot at Thanaleng railway station, Vientaine Logistics Park, the Vientaine-Thakhek-Mu Gia and the Laos-China railway route, and others. At present, VNR is the operator of all railways in the country. Having the right to use plenty of land located in big cities' centres, VNR has paid much attention to promoting the railway infrastructure business, especially those business lines that are not directly involved in train operation. In 2014, VNR established 12 railway facility operation branches. Besides the function of operating the national railway, these branches are also responsible for railway infrastructure business and leasing on-land properties. In order to better satisfy increasing customer demand, VNR has diversified its services and improved service quality at stations, warehouses, and freight yards, while seeking partners and pushing up the establishment of consortiums and joint ventures to attract private investment in transport supporting businesses, including the leasing of warehouses, workshops, retail shops, offices, and accommodation.